Did you know that according to the Association for Pet Obesity Prevention (APOP), 56% of dogs and 60% of cats are clinically overweight? 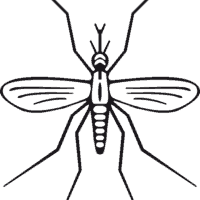 This means that these pets have a body condition score of 6 or higher (where 6-7 is overweight and 8-9 is obese). Moreover, the number of overweight pets is on the rise throughout the country and has been for several years. Unfortunately, many owners don’t realize that their pets are overweight or obese. In fact, the APOP found that as many as 90% or more of pet owners didn’t recognize their pet’s weight issue. Just like people, a pet’s weight gradually increases over time, and that additional weight can be difficult for pet owners to notice. There can be many reasons for a pet’s weight gain. Often, the reason is too much food – whether it’s too much food at mealtimes, feeding table scraps or too many high caloric treats. 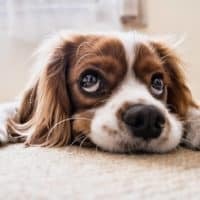 As pet owners, we often express our love for our pets by giving them treats, but when given too often, these treats can add up and cause weight gain. And while it can be difficult to acknowledge, we are the ones responsible for feeding our pets, so many times we have unintentionally caused the weight gain. For other pets, weight is gained because of a lack of exercise. Of course, this is compounded when pets are receiving too much food. Both cats and dogs need exercise every day. For some dogs, this can be a daily walk, while others might require more vigorous exercise. Cats can get exercise by playing with toys or playing with a food-dispensing toy. Most of our pets are spayed or neutered to protect them from diseases, unwanted litters, and behavioral problems. Spaying and neutering causes hormone changes that, in turn, can mean that our pets require fewer calories than we realize. Some pets may gain weight as a result of other medical issues, which is why it’s always important to talk to your vet about your dog or cat’s weight and body condition score. Similar to how excess weight can cause health problems in humans, excess weight and obesity can cause health problems for dogs and cats. Overweight dogs and cats are more likely to suffer from arthritis, liver disease, bladder problems, certain types of cancer and diabetes. 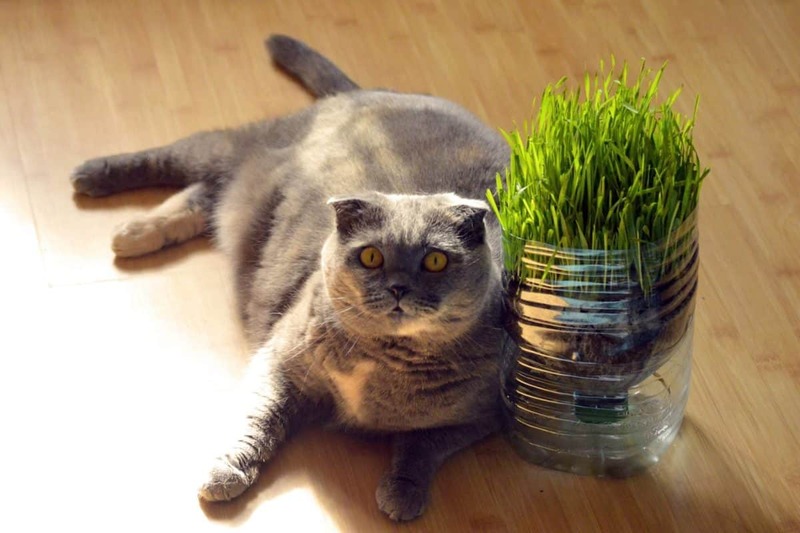 Overweight cats can have difficulty cleaning themselves and using a litter box. 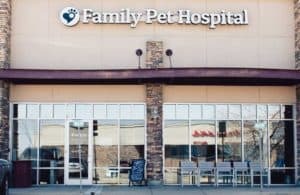 Before treating any weight issues for your pet, make an appointment to come in and see us at Family Pet Hospital in Longmont. Let us check your pet’s weight and their body condition score. If your pet is indeed overweight or obese, we can make a plan together to address the issue. One of the first steps in getting your pet’s weight under control is discussing your cat or dog’s nutritional and caloric needs. We will work with you to establish what type(s) of food to feed, how much to feed and how treats fit into your pet’s diet. If necessary, we can set goals for how much weight your pet needs to lose and monitor that weight loss. Regular weight checks can be an extremely helpful tool in managing your pet’s weight. Just as it is not healthy for a human to go on a crash diet and rapidly lose a lot of weight, the same holds true for our pets. In fact, rapid weight loss can cause liver failure. Safely losing weight is a gradual process, even for dogs and cats. Increasing your pet’s exercise is another helpful tool in managing your pet’s weight. For dogs, we often recommend at least 30 minutes of exercise per day. 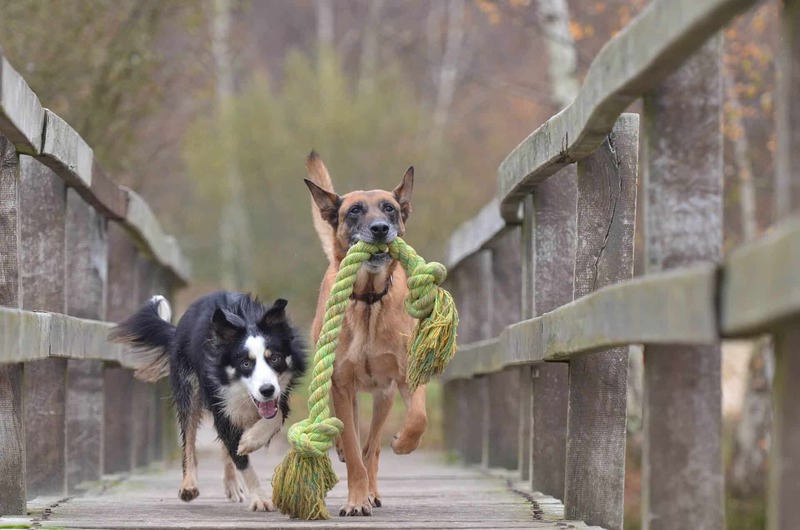 A game of fetch or even a walk can do a lot to improve a dog’s health. Cats can be helped by having shorter intense play periods (for example, three sessions of five-minute play). Because cats are natural hunters, try to engage them with toys that stimulate their instincts. Getting your pet’s weight under control is a worthwhile endeavor. 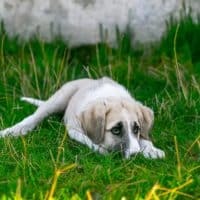 While it can involve time, effort and discipline on the part of a pet owner (and family), helping your pet maintain a healthy weight can prevent a multitude of health problems in the future. Family Pet Hospital can help make the weight loss process as low-stress as possible. Feel free to contact us at any time or make an appointment to evaluate your pet’s current weight. 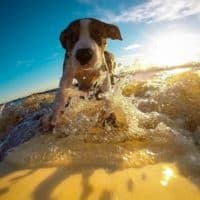 Leptospirosis: Is My Pet at Risk?